We know you like seeing which dresses Girl Meets Dress founder Anna Bance chooses to wear when she goes to events. Here are 2 of the most recent outings for a Self Portrait midi dress and a Jill Jill Stuart black velvet gown. The first was a red and navy lace mid length dress by Self Portrait. Anna attended a dinner at Fortnum and Mason and was joined by a collection of amazing women for the inaugural #KTWMondayMuse dinner in the Fortnums Boardroom, to celebrate creative game changers and inspiring leaders in their field. Co-hosted by KTW London founder Katy Wickremesinghe and CEO of Fortnum and Mason, Ewan Venters. 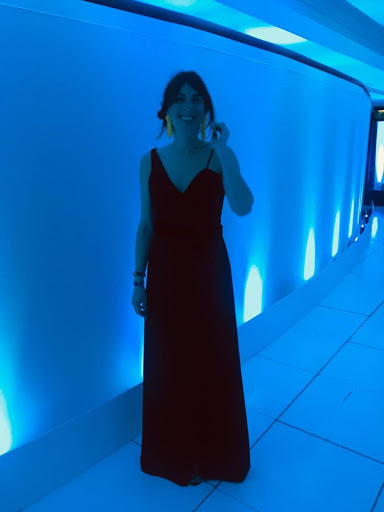 The 2nd event was the 2018 Retail Week Awards, a black tie dinner and ceremony for 800 people in the ballroom at Grosvenor House, Park Lane. With a silent auction and a speech by Professor Brian Cox, it was fun and late evening. Girl Meets Dress gave all attendees 20% off dress hire and we spotted many wonderful Girl Meet Dress evening dresses to hire on the dancefloor! Posted March 28th, 2018 in Uncategorized. 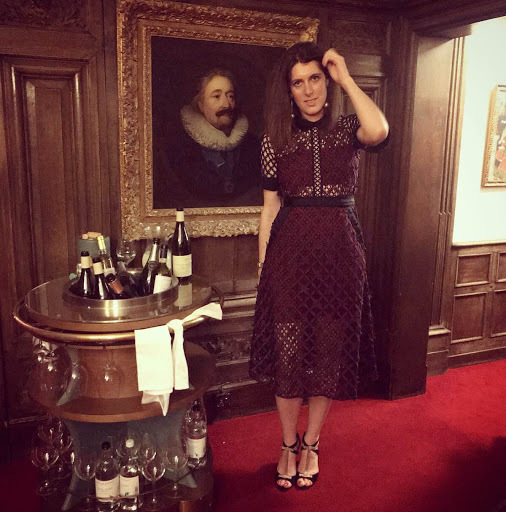 Tagged: #KTWMondayMuse, #mondaymuse #monday #dinner #celebration #women #creative #fashion #art #business #leaders, Anna Bance, Dress Hire, Ewan Venters, Fortnum and Mason, Girl Meets Dress, Hire Jill Jill Stuart, hire self portrait, Katy Wickremesinghe, KTW London.